BWY dip. ITECDip APM. ITEC Dip IHM. 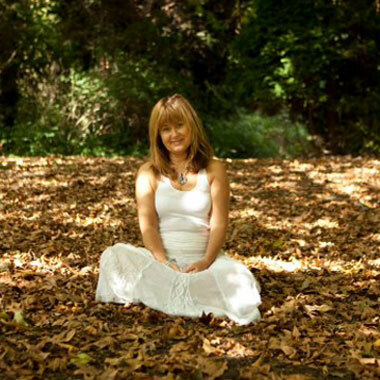 Bernadette’s quarter century of experience and pioneering approach has enabled her to hone her knowledge and develop an individual, eclectic yoga teaching style, become an established and respected yoga teacher, massage therapist & Reiki practitioner. Her style is continuing to evolve and has an emphasis on awareness, alignment and the breath She is deeply committed to encouraging & promoting the holistic health of all of the community. Bernadette is a British Wheel of Yoga diploma holder. She also holds a BWY “post graduate” diploma in Pregnancy Yoga, teaching pregnancy yoga for over 14 years in South East London and has worked with local midwives for many years. Bernadette is also a being a certified Teaching Practice Observer Teacher for student BWY teachers/pregnancy yoga teachers & accredited organisations. Bernadette has also been awarded a diploma in Well Woman Yoga from Birthlight and teaches this new, therapaeutic approach to yoga for women who want to release the stress & anxiety of modern life with nurturing, healing practices, particularly regarding reproductive health issues. Bernadette has been a qualified massage therapist for 10 years with diplomas in Massage, Indian Head Massage and Baby Massage. She is a level 3 Reiki practitioner and Magnified Healing teacher/practitioner and has certificates in Pregnancy Massage, Neuro Muscular technique, Ayurvedic Foot Massage, Hot Stones Massage and Trigger Point Therapy . She is fully insured, CRB checked and is required to consistently update all her professional qualifications in order to remain an approved teacher and therapist. She is a teacher member of the BWY, CThA, FEDANT, Birthlight & REPS level 3. She lives in Greenwich and has 2 sons.